At PRHC “ICU” on Saturday, March 23, 2019 in her 91st year. Beloved wife of the late John Harold Harris (d.Feb 20, 1994). Loving and devoted mother of Ian, Daphne and Keith (Sue). Loving grandmother of Dexter, Drew, Brianna, Kirkland, Mitchel (Camila), Carley (Tyler), and Justin. Great grandmother of Paxton. Dear sister of Joan Buick and aunt of Betty Buick-Cameron (Edward) both of Cornwall. Predeceased by her parents Annie and Mathew Frame of Northern Ireland, her brother-in-law Stanley Buick, and her nephew Bill Buick. Mae was a retired employee of Sears Canada. 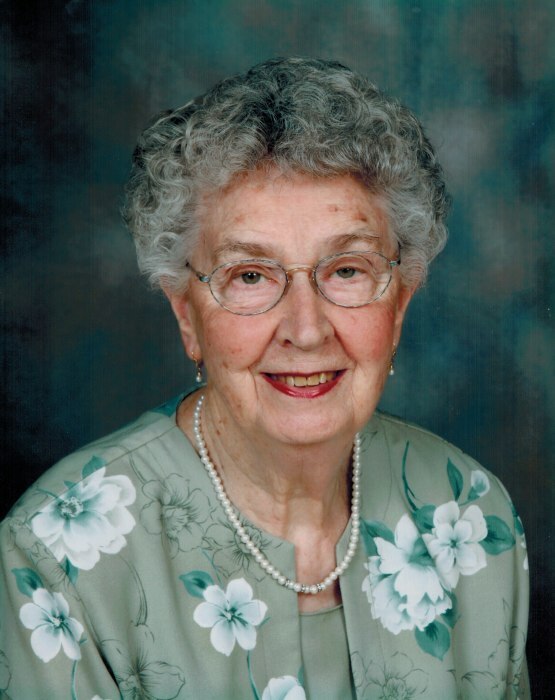 She was also a devoted member of the Order of the Eastern Star for over 60 years, Peterborough Chapter #161. Friends will be received on Saturday, March 30, 2019 at the Highland Park Funeral Centre (2510 Bensfort Rd.) from 9:30 a.m. – 10:15 a.m. A Order of the Eastern Star service will take place at 10:15 a.m. followed by a Memorial Service at 10:30a.m. in the Highland Park Chapel. Interment to follow in Highland Park Cemetery. Reception to follow. In memory of Mae, donations, may be made to the Heart and Stroke Foundation or Five Counties Children’s Centre.